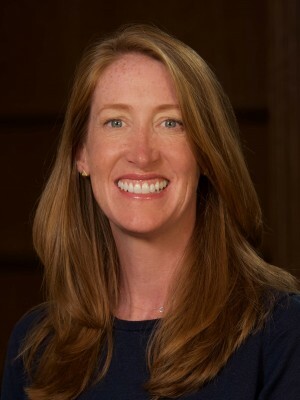 Chrissy Trinter is an Assistant Professor of Mathematics Education, in the Center for STEM Education and a faculty member and Fellow of the Institute for Educational Initiatives at the University of Notre Dame. Her work centers on teacher development and her research interests include teacher leadership and curriculum studies in mathematics education. She is particularly interested in elements of curriculum and instruction that fall within the intersection of creativity and mathematics education. Prior to joining the Center for STEM Education, she was a faculty member at Virginia Commonwealth University, where her courses included Curriculum Advanced Theory, Mathematics Teacher Leadership I, II, and III; Teaching Mathematics for Middle and Secondary Education; Research Proposal Writing, among others. Dr. Trinter was a Research Scientist at the Curry School of Education, University of Virginia where she also earned her doctoral degree. During this time, she was the lead author on several award-winning curricular units. Prior, Dr. Trinter taught middle and high school mathematics in the northeast as well as overseas. Trinter, C. & Carlson-Jaquez, H. (2018). An examination of the nature of post-observation feedback provided to middle school mathematics teachers. Journal of Mathematics Education Leadership, 19(1), 3-22. Ellington, A., Whitenack, J., Trinter, C. & Fennell, S. (2017). Preparing and implementing successful mathematics coaches and teacher leaders. Journal of Mathematical Behavior, 46, 146-151. Haver, W., Trinter, C., & Inge, V. (2017). The Virginia mathematics specialist initiative: Collaborative effort among all components of the VA mathematics community. Journal of Mathematical Behavior, 46, 289-302. Trinter, C. & Hope, S. (2016). The absence and presence of mathematics in teacher-led interdisciplinary unit design. Journal of Mathematics Education, 9(2), 4-21. Trinter, C. (2016). The importance of theoretical frameworks and mathematical constructs in designing digital tools. Journal of Computers in Mathematics and Science Teaching, 35(3), 269-293. Trinter, C., Brighton, C. & Moon, T. (2015). Differentiated educational games: discarding the one size fits all approach to educational game play. Gifted Child Today, 38(2), 88-94. Garofalo, J., Trinter, C. & Swartz, B. (2015). Engaging with constructive and non-constructive proofs. Mathematics Teacher, 108(6), 422-428. Trinter, C. & Garofalo, J. (2013). I need more information! Mathematics Teacher, 106(2), 126-131. Garofalo, J. & Trinter, C. (2013). Using simulations to foster pre-service mathematics teachers’ self-assessment, learning, and reflections on teaching. Mathematics Teacher Educator, 1(2), 162-171. Garofalo, J. & Trinter, C. (2012). Tasks that make connections through representations. Mathematics Teacher, 106(4), 302-307. Trinter, C. & Garofalo, J. (2011). Exploring non-routine functions algebraically and graphically. Mathematics Teacher, 104(7), 508-513.